Nobody wants to deal with an emergency, but sometimes life throws us curveballs. Unfortunately, we can’t live our lives constantly looking over our shoulders. Thankfully, with the advent of smart technology, we don’t need to. Reliable and responsive smart devices can essentially keep looking over your shoulder on your behalf, freeing you from worry or concern. 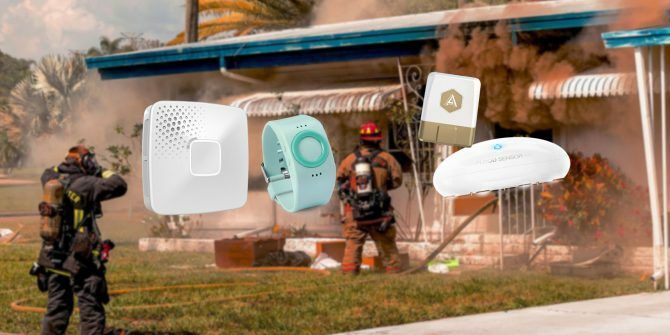 Make sure you’re well-prepared for the next big crisis in your life before it happens by installing these seven smart devices. If you live on a floodplain, water sensors might not be too useful. Sadly, there’s not much you can do if a river decides to start flowing through your front door. 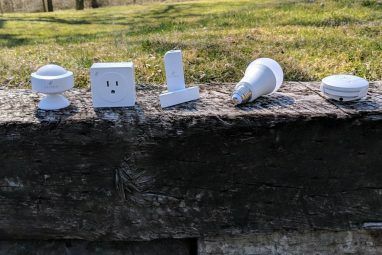 For everyone else, water sensors are a must-have smart home device How to Build an Effective and Affordable Smart Home From the Ground Up How to Build an Effective and Affordable Smart Home From the Ground Up Heard about smart homes but have no idea what they are? 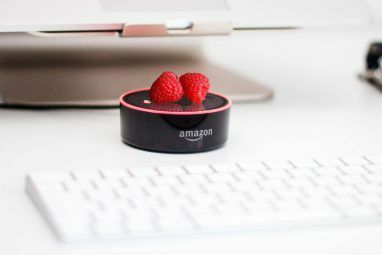 Interested in smart gadgets but don't know where to start? This article has everything you need to start building your own smart home. Read More . By alerting you to leaks in good time, you can prevent a minor drip from becoming a costly disaster. Even leaks that never amount to more than a drip can cause huge problems with mold and damaged wall cavities over time. And water sensors aren’t just useful for leaks. If you have a propensity to leave the bath running accidentally, or you live in a block of flats where you can’t trust the neighbor above you, they’re vital. There are lots of water sensors available. For a cheap entry model, check out the Z-Wave-equipped Fibaro Flood Sensor. It costs $60. The device will send you a smartphone alert if it detects a leak, and can even be made to shut off your water supply automatically Install a Smart Valve and Stop Your Basement from Flooding Install a Smart Valve and Stop Your Basement from Flooding What if you could prevent home flooding or water damage by installing a single piece of equipment? I am, of course, talking about smart water valves. Read More . Other products to consider are the Wally system and the Insteon model. Unlike a water leak, which you can see and often hear, carbon monoxide leaks are odorless, colorless, and noiseless. Given more than 500 people die every in the United States from accidental carbon monoxide poisoning, and an air concentration of just 1,600 ppm is enough to kill you within less than two hours, it’s important that you take some steps to protect yourself. One of the best smart carbon monoxide alarms is the First Alert product. It doubles as a smoke alarm and can immediately let you know if it detects dangerous levels of the gas. Like the Fibaro Flood Sensor, it will also connect to your Z Wave system. We like it so much, we made it one of our must-have smart sensors you need to install in your home 6 Smart Detectors That Protect Your Family and Property from Harm 6 Smart Detectors That Protect Your Family and Property from Harm A truly smart home does more than save money: it helps protect your family and house. These smart detectors will keep an eye on things so you feel safe when at home or away. Read More . If you want a different product, you could also check out the Nest Protect or the Leeo Smart Alert. If you don’t have a gas line in your house, you might not need a carbon monoxide alarm. But unless you never do any cooking or never light any candles, everyone needs a fire alarm. Of course, traditional fire alarms are better than nothing. But if something happens when you’re not at home 3 Essential Gadgets to Monitor Your Home Whenever You're Away 3 Essential Gadgets to Monitor Your Home Whenever You're Away If you leave your home for an extended period of time, water, temperature, or criminals can wreak havoc. We're going to show you how you can protect your home from all of these. Read More , your house could have already burned down before you know something is afoot. By using a high-quality smart fire alarm, you can make the device send an instant alert to both your smartphone, and more importantly, the local fire brigade. Hopefully, the professionals will be able to react to the impending disaster before it’s too late. Once again, you have a lot of devices to choose from. The best equipped is probably the Nest Protect, but it’s also one of the most expensive. It will set you back at least $85. The safer wired version costs upwards of $120. For a less expensive but equally effective alternative, try the Roost Smart Battery. It plugs into your old dumb smoke alarm and equips it with smart capabilities Smoke Detector Battle: Roost Smart Battery Vs Nest Protect Smoke Detector Battle: Roost Smart Battery Vs Nest Protect Once you see how the Roost Smart Battery and the Nest Protect stack up against one another, you'll wonder how you ever got along without either. Read More . The entry level model only costs $35. Okay, let’s move away from devices that alert you to things going wrong. What about ways to help you deal with an emergency more efficiently? One such system is a network of solar powered lights. If the power grid goes down unexpectedly, it will save you from frantically rummaging for your flashlight in the dark (and you just know that when you find it, the batteries will be dead). There are lots of solar-powered lights on the market. Check out Solar Illumination’s range of products. 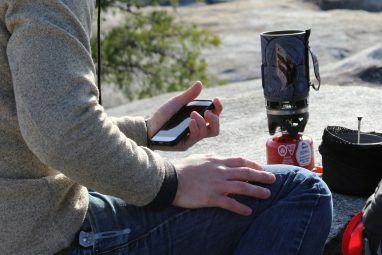 The company offers everything from portable lanterns to free-standing lamps. Of course, there are lots of other solar powered devices you can deploy around your home that can help you in an emergency. They include animal repellents, music speakers, and bike locks. We’ve covered some elsewhere on the site 12 Solar-Powered Products to Help You Reduce Your Power Bill 12 Solar-Powered Products to Help You Reduce Your Power Bill These 12 solar powered devices for home and personal use will help reduce your power bill and your reliance on fossil fuels, ever so slightly. Read More . It’s every parent’s worst nightmare. You think your child is dutifully following you through the frozen food section, only to turn around and realize they are not there. Hopefully, your little darling has just decided to wander off to the toy section, but there’s a chance it could be a more serious issue. Did you know roughly 800,000 children are reported missing each year in the United States? That’s an average of 2,000 per day. Most show up unharmed, but strangers abduct approximately 115 kids per year. Whether your child is in the toy section or a stranger’s car doesn’t matter. If they’re missing, it’s an immediate emergency. Rather than always living in fear, why not equip your kid with a child monitor Track Your Kids and Stop Worrying with These GPS Trackers Track Your Kids and Stop Worrying with These GPS Trackers There are plenty of GPS child trackers already on the market. Which are best? That depends on many factors including distance, compatibility, durability, and price. Read More ? One option is the Tinitell smartwatch. It’s basically a mobile phone for kids. Your child can use it to make calls to up to 12 predefined contacts, and the child’s location is continuously broadcast via GPS to an app on your smartphone. The watch costs $139. Other options include AngelSense, FiLIP, and HereO. They all function in a broadly similar way. Sadly, so many things can go wrong with our health that’s it’s impossible to list a product for every eventuality. Omron Evolv — The Omron Evolv is a wireless blood pressure monitor. It saves all your results to an app. Using the app, you can share results directly with your doctor, and hopefully notice trends in your health before you develop any chronic conditions. AliveCor Kardia Band — This EKG monitor keeps an eye on your heartbeat. The device immediately alerts you if it detects atrial fibrillation. If you pay the $99 per year subscription fee, it will generate a monthly report for your doctor, among other things. Proteus Pills — These are one of the most futuristic health-orientated smart gadgets that you’re likely to come across. You swallow a silicon-based pill which includes tiny sensors. When the sensors come into contact with your stomach acid they activate and send feedback about your digestive system to a smartphone app. If there’s an impending emergency, the app will alert your doctor immediately. Warning: Consult with your doctor before using any health-based smart device! Even the best drivers in the world sometimes find themselves in accidents. You don’t even need to have done anything wrong; often another driver is at fault. If you find yourself involved in a bad accident, you might not be able to alert people to your situation. That’s where the Automatic Pro gadget comes in. The device attaches to your car. If you have a crash, it automatically alerts a predefined set of contacts and the emergency services. It also has a panic button, meaning you can let people know there’s a problem even if you can’t get to your phone. The Automatic Pro costs $130. Which Smart Devices Do You Use for Emergencies? If you buy some of the devices I have covered, you will be able to relax in the knowledge you will be safe if the worst happens. Of course, my list is not exhaustive. Which devices do you own that will protect you in the case of an emergency? You can leave all your thoughts, suggestions, and feedback in the comments below.